Jon-Erik penned this note to a "Dr. Dixon" while on an airplane. There must have been some turbulence, because from the looks of things, he was a little distracted while writing it. 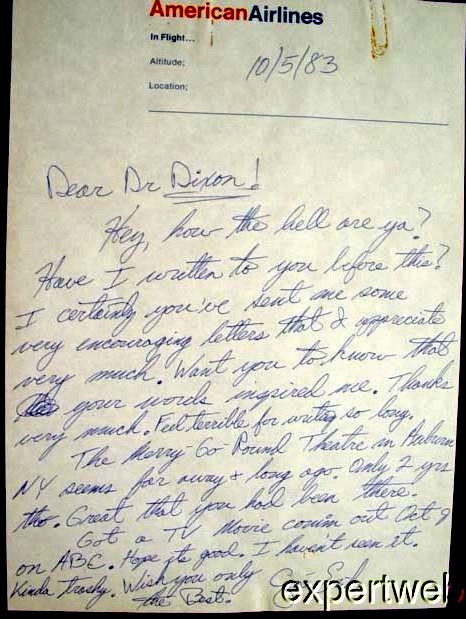 Nonetheless, this letter reveals some valuable historical info: the name of the theatre where Jon-Erik did summerstock in Auburn, NY in the summer of 1981: The Merry-Go-Round.